The S820 is a 2 x 200 watt power amplifier that has been designed and crafted to provide the user with a high level of sonic performance. Special attention has been paid to minimize the number of components in the audio signal path, resulting in extremely low distortion, excellent transient response and wide dynamic range. The S7165 is a 7 x 160 watt power amplifier that has been designed and crafted to provide the user with a high level of sonic performance. Special attention has been paid to minimize the number of components in the audio signal path, resulting in extremely low distortion, excellent transient response and wide dynamic range. The S5165 is a 5 x 160 watt power amplifier that has been designed and crafted to provide the user with a high level of sonic performance. Special attention has been paid to minimize the number of components in the audio signal path, resulting in extremely low distortion, excellent transient response and wide dynamic range. The JBL AVA7 is one such piece of gear that will deliver you the exact sound you were looking for: the JBL AVA7 is one audio tool which has been conceived and engineered for the exact purpose you need – offering reliable, high-quality sound, both warm and soothing and at the same time powerful enough for the most thrilling media experiences. The Lexicon DD-8 redefines the state-of-the-art for multi-room distributed audio applications. Taking advantage of HARMAN’s pioneering DriveCore™ amplifier technology, the DD-8 delivers eight channels of 125W each in a chassis only one rack space high. The No 533H shares the same basic amplifier module as the No 531H and No532H but is a semi-monoblock design. With power supplies that can be shared across multiple channels, this design lends itself well to multi-channel environments where one channel might need more power at times than others. All other features of the No 533H are identical to the No 531H and No532H and the common design creates a consistent sonic signature for use in multiple amplifier system configurations. 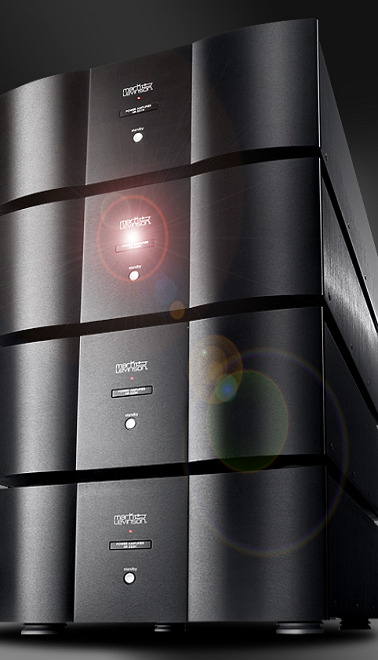 As the first five-channel amplifier from Mark Levinson, the No535H sets the bar high. Using a semimono-block design like the No 533H, the No535H can deliver 200W per channel into all five channels simultaneously. Twelve output transistors and large amounts of capacitance per channel ensure that this amplifier is more than capable of delivering realistic dynamics and transients with audiophile-grade detail and response for even the most demanding audio tracks.